"Oregon- American India Pale Ale (IPA)- 6.2% ABV. 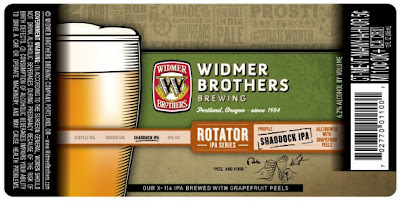 A Widmer Rotator IPA Series offering. Brewed with dried grapefruit peels imparting big citrus aroma and flavor. 52 IBUs deliver significant yet smooth bitterness amidst a pleasant rind flavor and caramel malt sweetness." This is their X-114 IPA brewed with grapefruit peels. - Pours a nice clear copper amber with a fluffy white head. The two fingers of head stick around a bit, and settle with thick lace in the glass, and a thin spotty blanket over the brew. Clean and nice looking. 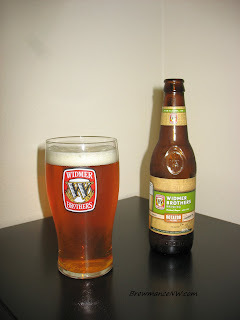 - Nice earthy and herbal hop with a citrus punch to the nose. Light grapefruit from what must be both the fruit, and the hop. A nice sweet grainy malt is present. Seems rather spicy and earthy as well. Good hop highlights with this one. - Very balanced and tasty brew. The hop bitterness melds well with the lightly sweet caramel and biscuity malt. Pine, grass, and earthy hops are up front, and yet finish with a nice citrus and spicy flare. There is a slight grapefruit taste, but not very much. It's hard to tell the difference between it, and the hops. Perhaps I could use even a little more grapefruit. - Overall this is a light to medium bodied brew, very well carbonated and easy to drink. It is just a touch cloying and dry from the hop bitterness, and leaves the mouth watering for more. A refreshing summertime number. - Solid brew, and great for a sunny summer afternoon. 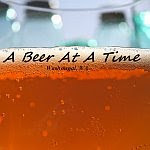 It drinks well, has wonderful hop flavors, and is very well balanced. I just wish there was a little more grapefruit kick to it. 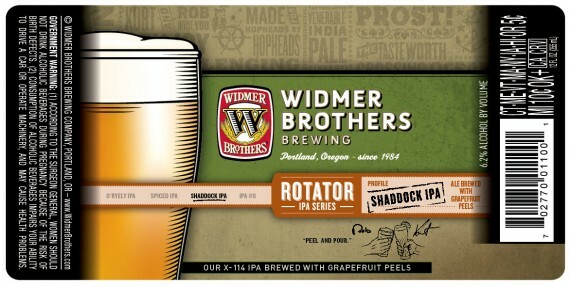 From what I remember at the Oregon Brewers Festival a couple years back, it indeed had more grapefruit then. Tasted the Shaddock tonight. Probably the best Rotator since X-114. It could use just a bit more backbone, but it's pretty good. Good summer drinker. They still haven't improved on Broken Halo, imo. Good points. Broken Halo was a great beer, but for me very thick and filling. I can drink a little more of this one, and I too agree it is one of the best in the series so far.